The VDL is situated in Nathan Cobb Drive (Building 295) on the Wagga Wagga Campus of CSU. It includes a necropsy suite supported by laboratories for the diagnosis of disease. 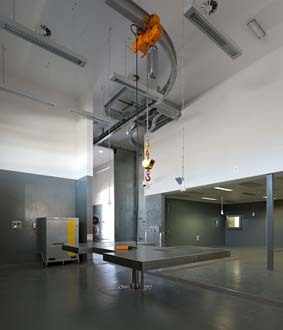 The necropsy room has an overhead gantry system and a hydraulic dissection table, capable of holding large animals such as cattle and horses. The room is serviced by holding pens, a photography room and a large cold room for specimens for research and disposal. Alongside the necropsy suite are laboratories dedicated to microbiology, parasitology, clinical pathology, histopathology and molecular biology. The majority of the facility is constructed to physical containment category 2 (PC2) standards, but with one PC3 room designed for working with high-risk disease organisms. There is also a laboratory and microscope room dedicated to teaching and student use, in support of their training in histopathology, cytology, haematology and biochemistry.